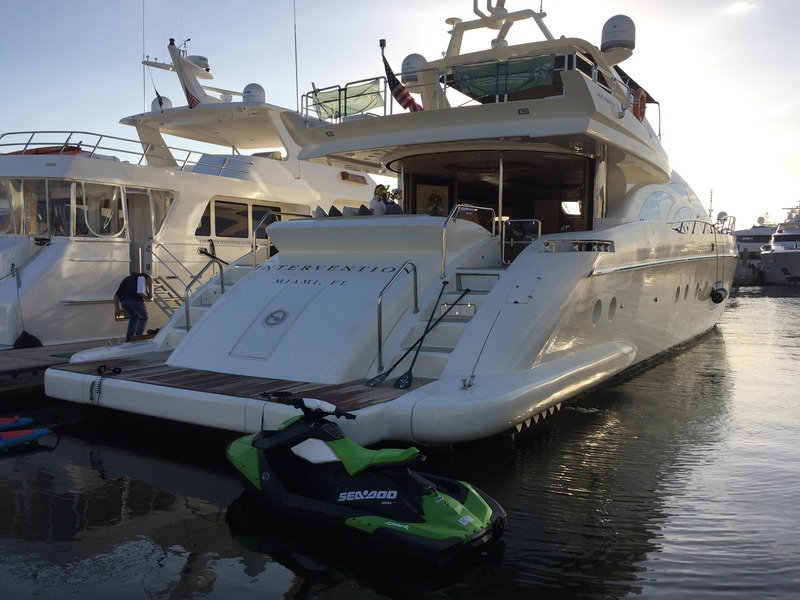 Motor yacht INTERVENTION (Ex Veloz) was launched in 2010 and refitted in 2016, she is an Azimut build and measures 30,48m (100ft). 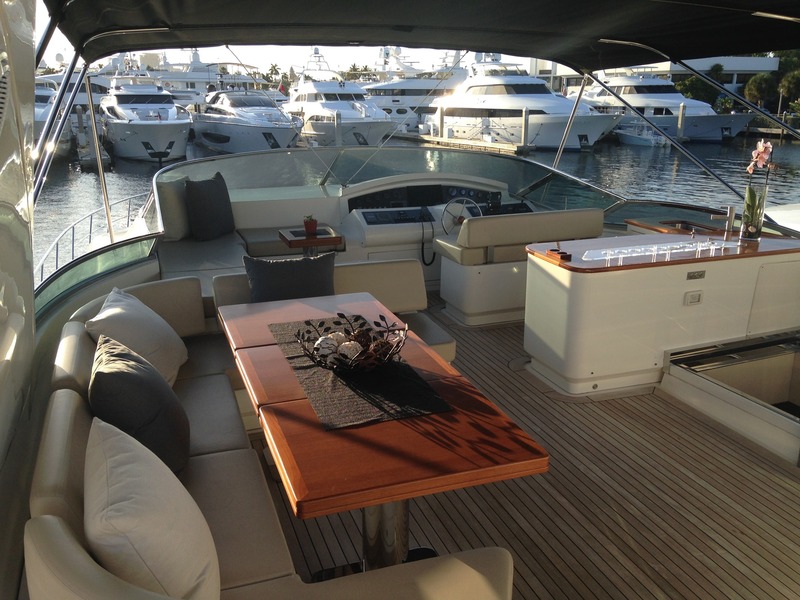 The yacht’s naval architecture is by Stefano Righini, while her interior styling is by Azimut. 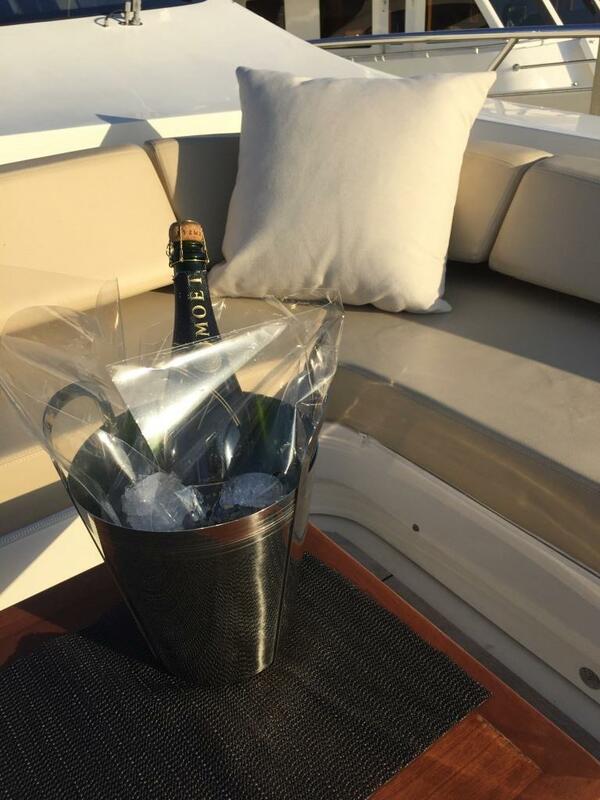 Accommodation is provided in 4 cabins, for up to 8 charter guests. 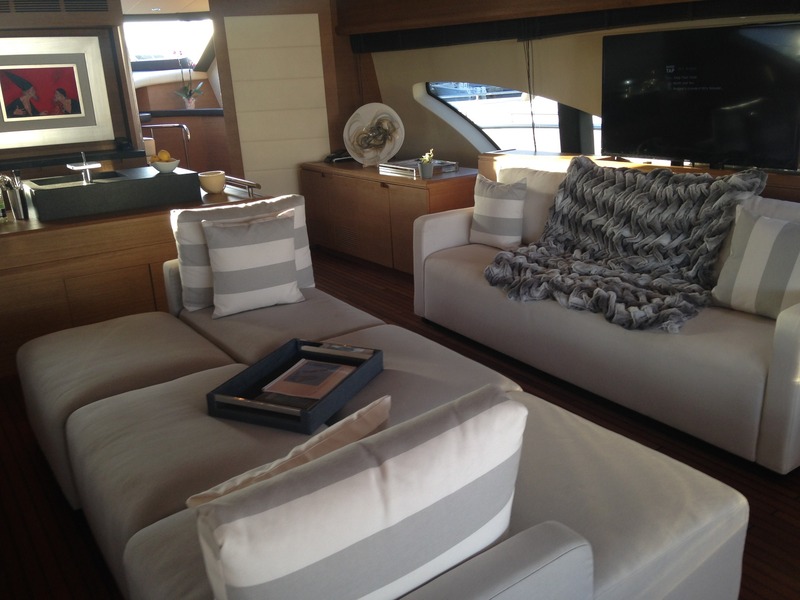 The contemporary interiors are light and airy, with generous living spaces and comfortable furnishings. 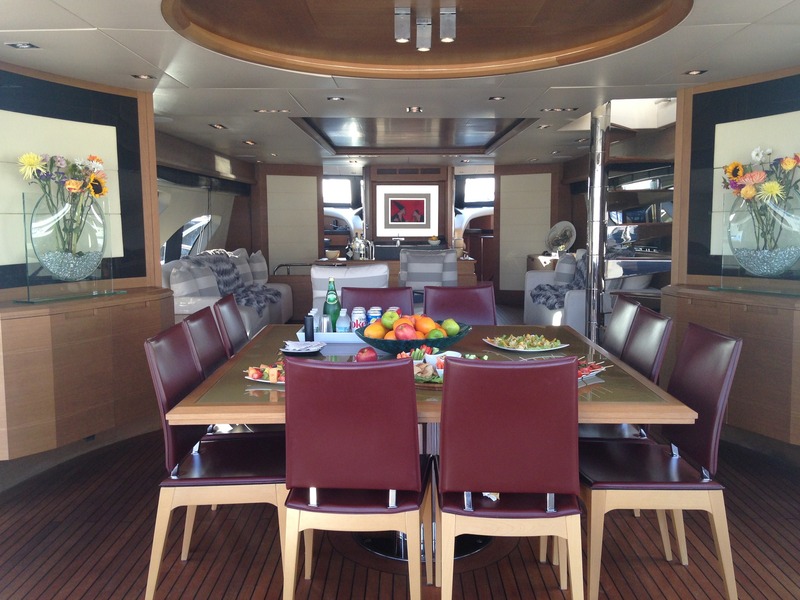 Her main salon and dining is set in an open plan, featuring the lounge forward and dining aft. 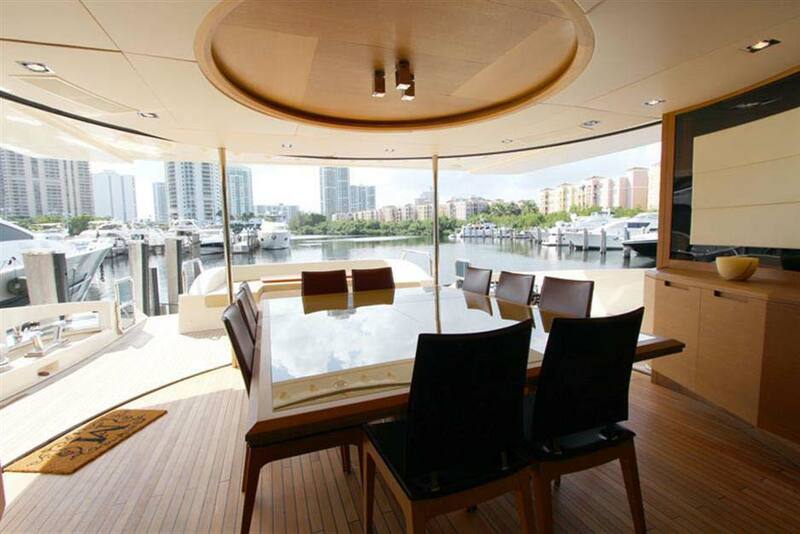 The circular dining area opens out to seamlessly join to the aft deck. The lounge has ample areas to relax, socialize and entertain, with plush furnishings and full audio / visual systems. 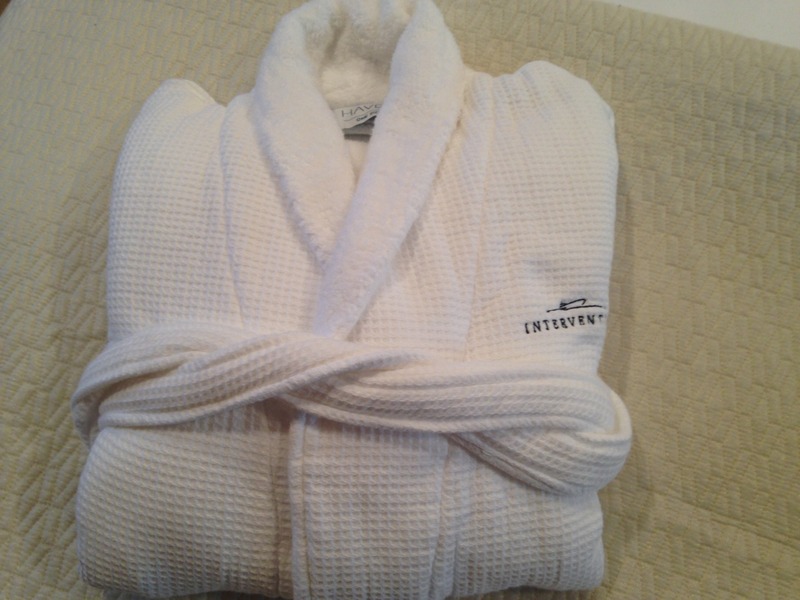 Accommodation is on the lower deck, in 1 master, 1 VIP and 2 twin cabins. 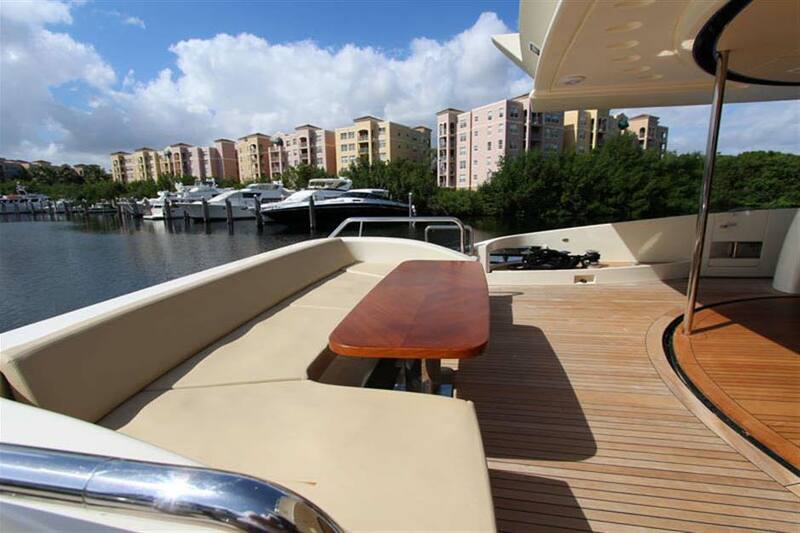 On deck living is over 2 levels and includes an aft deck, foredeck and sundeck. 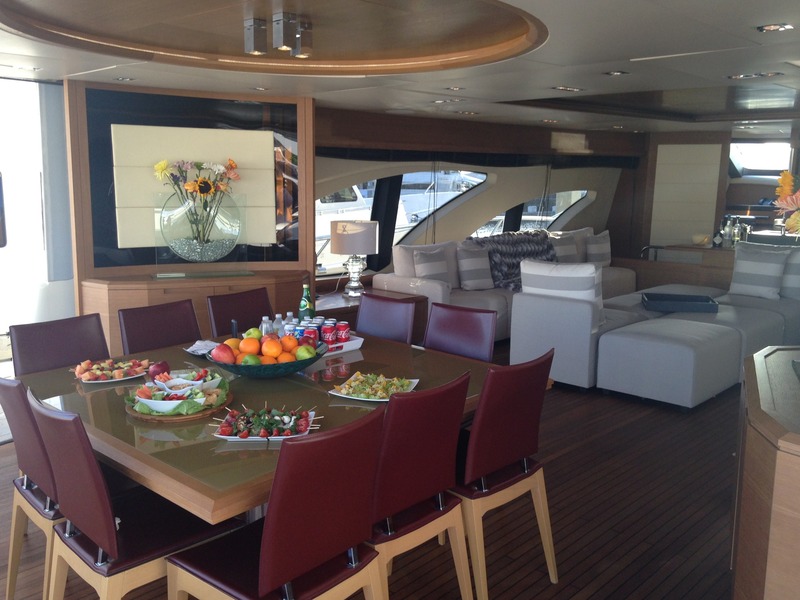 Adjacent to the salon is the aft deck, with partial shade, plenty of seating and an alfresco dining table. 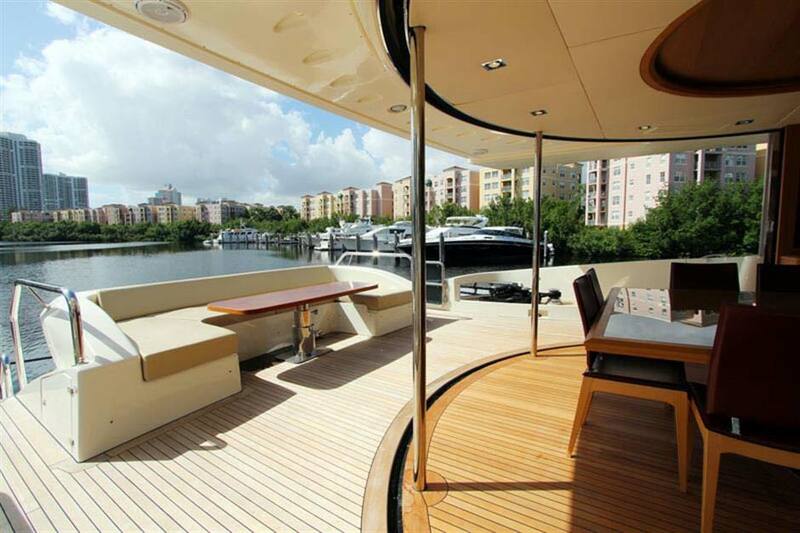 Her foredeck boasts a large raised sunpad and private seating area with tables, ideal for sundowners. 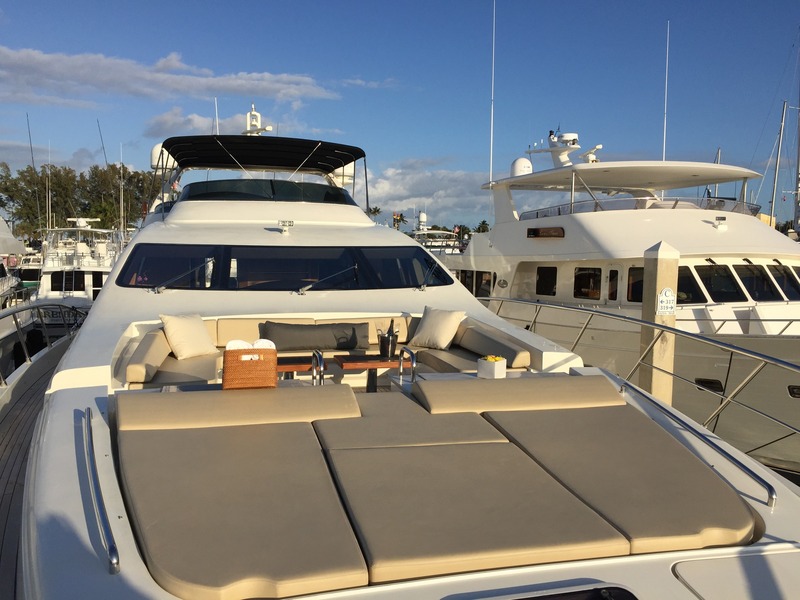 On the sundeck, guests have a further alfresco dining choice, seating, sunpads, wet bar, deluxe Jacuzzi tub and optional shade. 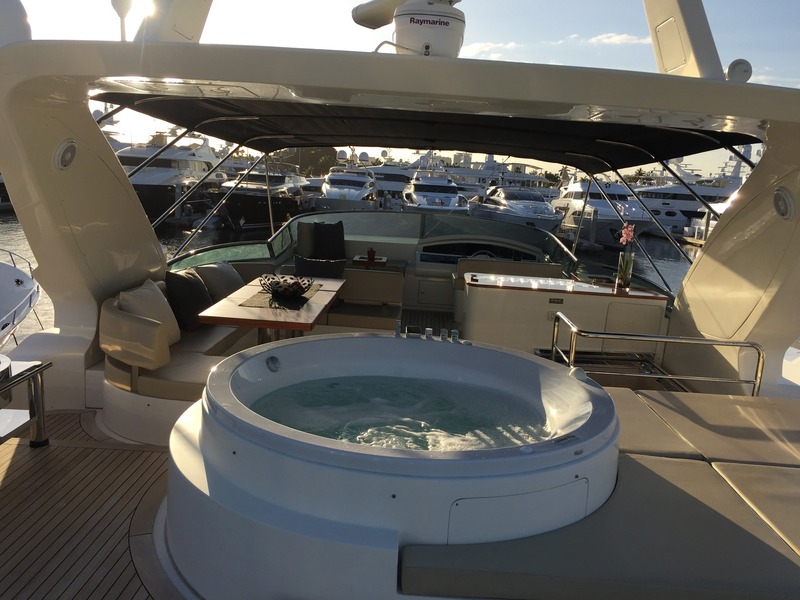 For the keen water enthusiasts, there is an extended swim platform, allowing effortless access to the sea toys on offer. 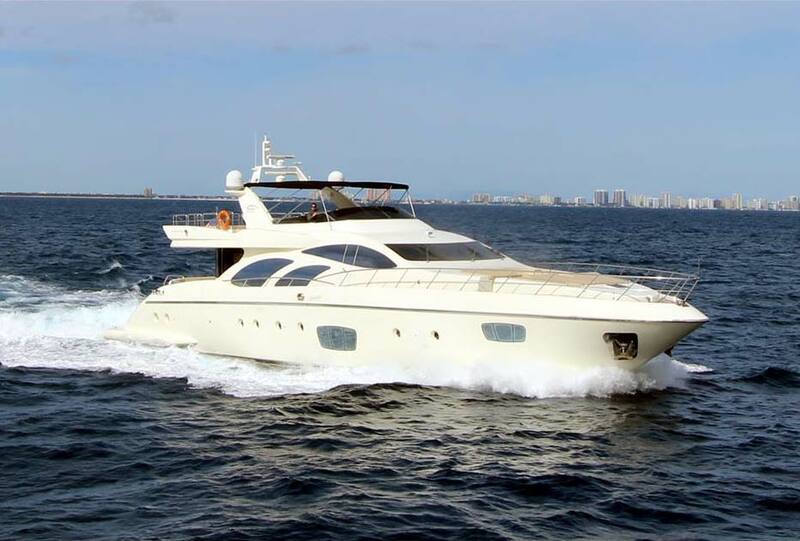 Powered by 2 x MTU 16V 2000 engines, she cruises at 22 knots and has impressive top speeds of 28 knots. 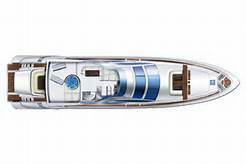 The yacht features a GRP planing hull design and at anchor stabilizers. 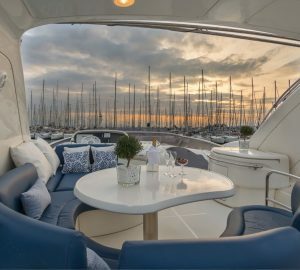 Accommodation is in 1 master stateroom amidships and full beam of the yacht, with a king size bed, and private seating area. 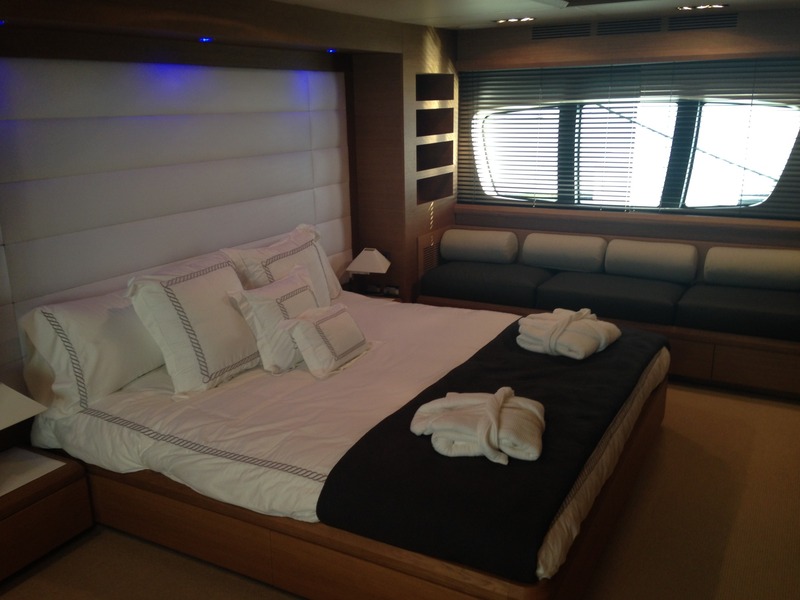 Her VIP cabin is forward and full beam of the yacht, with a queen size bed. 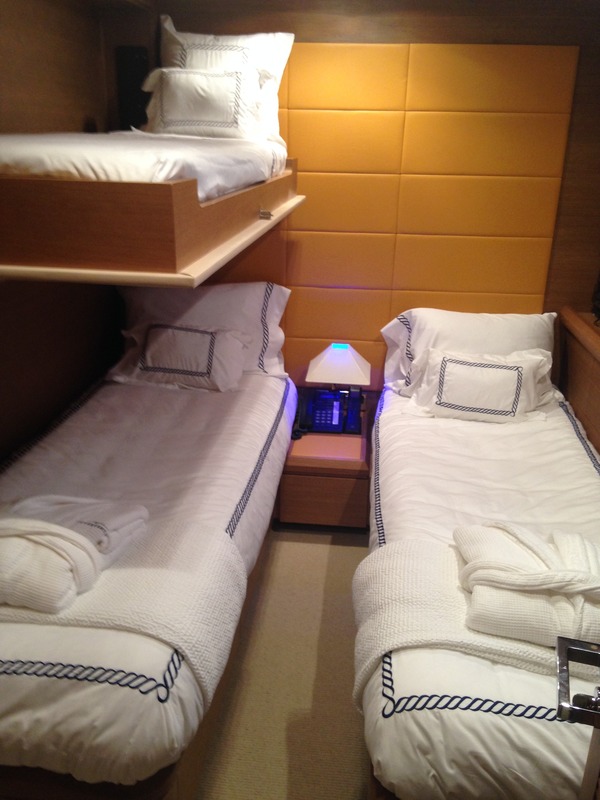 Two guest cabins offer twin beds and an upper Pullman berth. 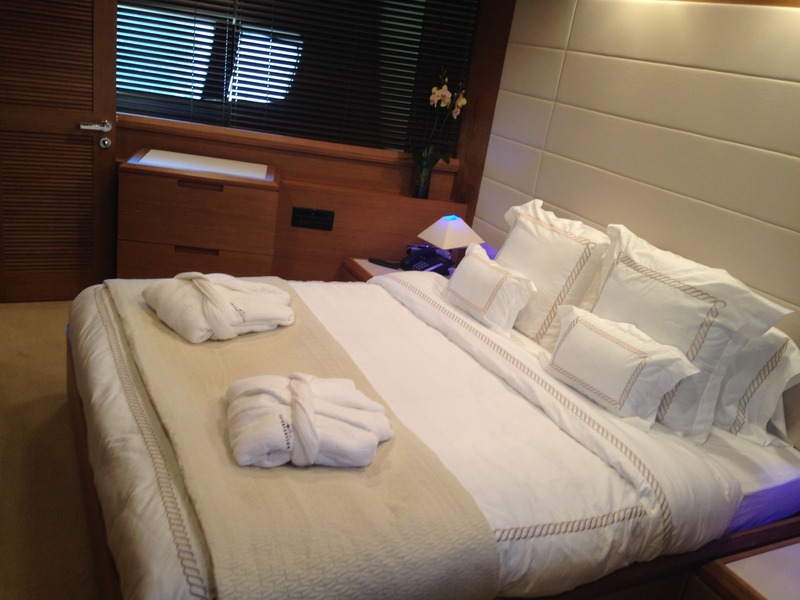 All guest cabins are on the lower deck and feature private en-suite facilities, TV entertainment and IPOD hook ups.